Trans-Siberian Railroad Expedition As the 21st century’s methods of transportation have evolved, railways have remained entrenched with their nostalgic method of travel and beautiful views of the sprawling, meandering countryside. Join us on one of the world’s longest railways through the countryside of Siberia and western Russia. From $5800 / person | All inclusive package including accommodation for all nights, in-country transport by private bus, train, or flight, lecture and instruction materials from our expert guides, all activities, and meals as listed on the itinerary. *International Airfare and Visa Fees are not included. 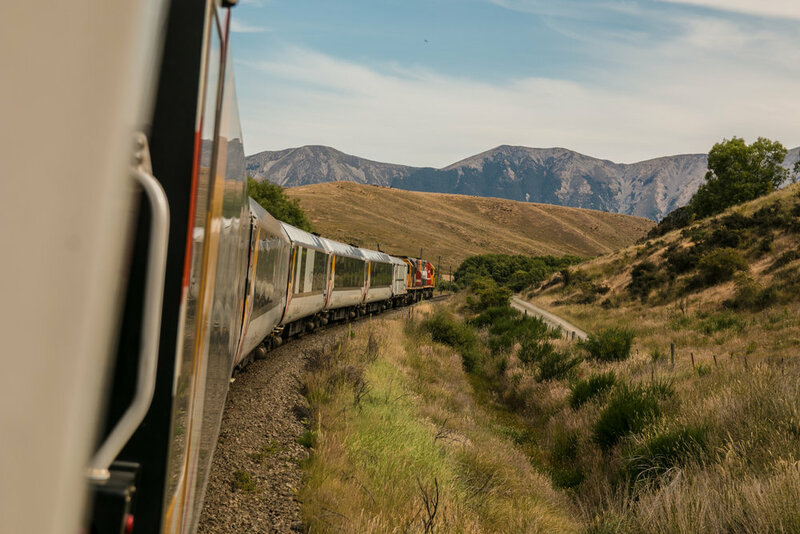 As the 21st century’s methods of transportation have evolved, railways have remained entrenched with their nostalgic method of travel and beautiful views of the sprawling, meandering countryside. Join us on one of the world’s longest railways through the countryside of Siberia and western Russia. We will arrive at Russia’s western port city of Vladivostok, often called “Russia’s San Francisco” or “Lord of the East,” to acquaint us with each other and embark on our train across the country. We will get a taste of Siberia as we explore the Vladivostok Fortress and the Aretage with a local guide before departing on our train at noon. We will settle into our cabins, enjoy the passing scenery of rivers, rolling hills, and lakes, and further our knowledge of this country as we learn about the background and history of Siberia, and what makes it such a unique place. Stopovers along the way will allow us to stretch our legs and get a peek at local life in the countryside. Our train arrives into the Buddhist city of Ulan-Ude in the Buryatia Republic. We will explore this Russian city heavily influenced by Asian practice with a walking tour of the city and the Museum of Buryatia and conclude with a dinner of local Buryat cuisine where we will discuss notes of our observations and stories from the day. The second day we will travel 30 minutes outside the city to Ivolginsky Datsan, a monastery surrounded by picturesque mountains and the center of Russian Buddhism, to learn and discuss the history of the religion in Russia. In the evening, we will board the train to Irkutsk and discuss our writings from the day. Local guides will accompany us to Lake Baikal, the oldest and deepest freshwater lake in the world, to hike and explore the local culture. We will visit traditional Siberian wooden houses, climb Cherskiy peak, and learn about the flora and fauna of Lake Baikal. The next day, we will tour the Znamensky Monastery where the leaders of the Decembrist Revolt are buried. Passing along the Karl Marx Prospect, we will talk about the history of revolutions in this Russian outpost. A quick stopover in Siberia’s largest city on the other side of the lake will allow us to stretch our legs and explore the city where many of Russia’s leading critics and artists were exiled during the Decembrist revolt. The third largest city in Russia and the largest station along the way, our train will stop in the scientific hub of Russia. Exploring Lenin Square, the wooden houses of Gorkogo, and the St. Nicholas Chapel at the center of Russia, we will workshop and reflect from the day over Siberian cuisine before leaving to Yekaterinburg. Our last two stopovers will bring us to the complicated site of the Romanov execution by the Bolsheviks and the Peter and Paul cathedral, a famous Orthodox pilgrimage site. Local engagement with artists will allow us to stretch our understanding of Russia’s unique history and memory. On the second day, we will explore Bulgar ruins and the traditional architecture surrounding the city. Finally, we will disembark from our railway travel in the thriving Russian city of Moscow and spend two days exploring the cultural heritage of this metropolitan. From the Kremlin to St. Basil’s cathedral and restaurant tours, we will learn from the perspective of the city and the complicated history of Russia’s political and cultural engagement. Spend a few extra days immersing yourself in Russia’s cultural hub: from art museums to textile making to architecture and cuisine, we will spend three full days staying in local hostels and exploring this cultural hub. Whether you’re a beginner or seasoned traveler, visit the landscape that Chekhov and Dostoevsky loved and learn to shape your own narratives. Embark with our team as we immerse and write our way across the Russian landscape, exploring memory and nostalgia, while being mentored in photography & storytelling. This is a great opportunity to develop your portfolio as an artist & traveler, come home with stories to share with friends, and explore some of Russia’s most mysterious and historic sites. At the end of your trip, you’ll receive a commemorative booklet of the photos & stories you and your fellow travelers have compiled along the way.